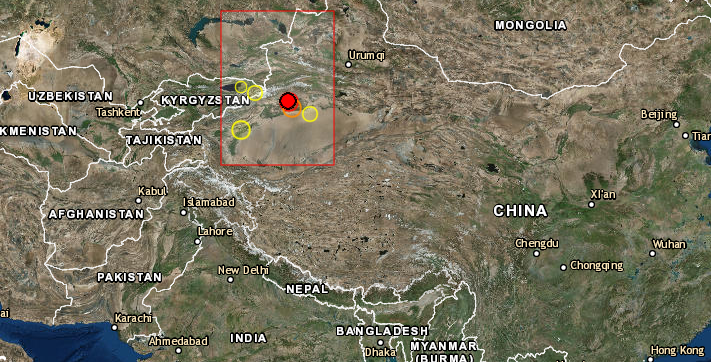 A 4.7R earthquake has been reported in China, at the epicenter location shown on the top map. [42.08N, 81.35E]. Our prediction as published here in the blog was for 41N, 78E]. By China standards this is considered good!